You are competing with more organisation’s than before, so why would customers choose you. Whilst price is a factor customer consider their experience is often more important. Customers think more carefully about where they spend their hard earned cash. This interactive Customer Service Course maximises the opportunity for them to pay you and your team’s wages. You service a car or a washing machine not your customers. Yes you provide a service, but that’s a given these days. Customer Care tends to focus on particular cultures and doesn’t transfer to all. want to repeat this and they are willing to actively promote your organisation. Let’s face it if you wanted to find say a plumber, or an accountant would you search the Internet, or ask someone you trust ? Why would they trust you ? This interactive learning programme is aimed at anyone who affects the customer in your organisation. Whether customer facing or working behind the scenes EVERYONE has an impact on your Customers. They need to understand this and appreciate this. Your people will become ambassadors for your brand and feel passionate about what they do. They will take on a new approach to their job by understanding what your customers want and customising their experience. How to identify and then manage ALL the Moments of Truth that exist in association to your organisation. The emotional impact of positive and negative customer experiences and how to use these reflections to best enhance your customer’s experiences. The differences between satisfiers and delighters and recognise areas within your organisation where you can go beyond the basics. That actively seeking complaints gives you a opportunities to further enhance your customer delight. How to handle and resolve complaints with Confidene and Assertiveness. That Internal Customers are just as important as External Customers and how to work best together. How to choose the RIGHT ATTITUDE to serve people with PRIDE. That serving people is one of the BEST jobs in the world. You will see a marked improvement in Internal Customer Delight reducing and even removing departmental silos enabling interdependence and cross functional working for the benefit of your External Customers. Use your Customer Charter/Pledge to advertise to your customers and potential customers the positive experiences they can expect when they work with you. Complaints will be managed with confidence and assertiveness. 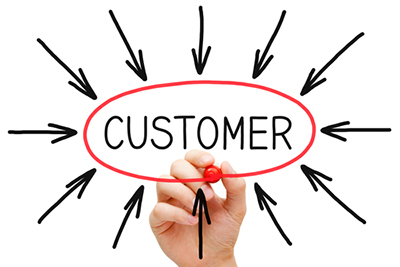 People will take OWNERSHIP of delighting Customers. You will build a lasting positive impression based on your reputation for exceeding customer expectations. Negative experiences will be converted and complaining customers will become life long fans. Like many of MPT provision, this programme is designed for each specific organisation with clear desired outcomes at the centre of the delivery. Please contact us to arrange a meeting to discuss your specific requirements so we can help you improve your performance. I have been meaning to write to you for some time to express our thanks to you and the MPT organisation for your assistance in pulling our thoughts together and helping us to design our Customer 1st Program. Your initial enthusiasm for the project together with your valuable input into what really mattered to our customers and importantly how our staff and management teams interfaced with them was essential to the success of the program. You will recall that we had many meetings to discuss what would be the best way of conveying our ideas and thoughts. Your guidance in how to deliver the workshops to our people were ‘spot on’ and more importantly the delivery by yourself was first class. The business is already seen a significant improvement in our team members ability to communicate with our customers and awareness of what is important to them. Clearly we are only at the first stage of this journey but I am clear that already we have made a difference to the business and the part that you personally and MPT have played has been instrumental in the program’s success. Now that we are entering the second year of the program. I am looking forward to working with you and the team to deliver truly great internal champions and from the atmosphere I witnessed at your recent workshop at Abbey hill this month this is off to an excellent start. Well done and once again thank you for the support you have given to the business.